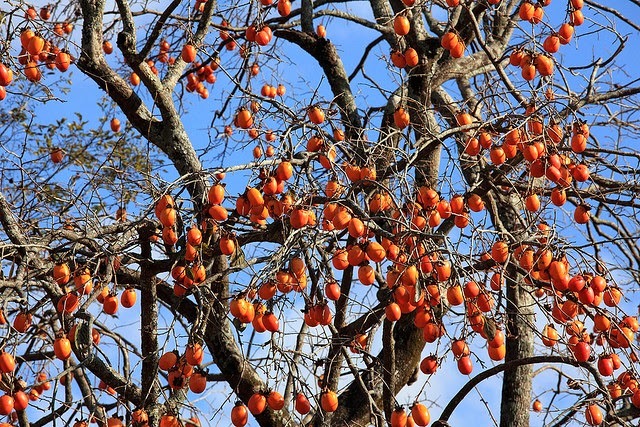 Florida Survival Gardening: Today at the 326 Community Market: Japanese Persimmons! Water Chestnuts! Goji Berries! Today at the 326 Community Market: Japanese Persimmons! Water Chestnuts! Goji Berries! I finally got 'em again. Small goji berries are $5.00 a pot... pick up a few and discover this weirdly flavored lycopene-loaded superfruit. I found two more Dwarf Everbearing Mulberries - come and get 'em. Chinese water chestnuts like old bathtubs. So do mosquitoes. I added mosquito fish to the tub - problem solved! 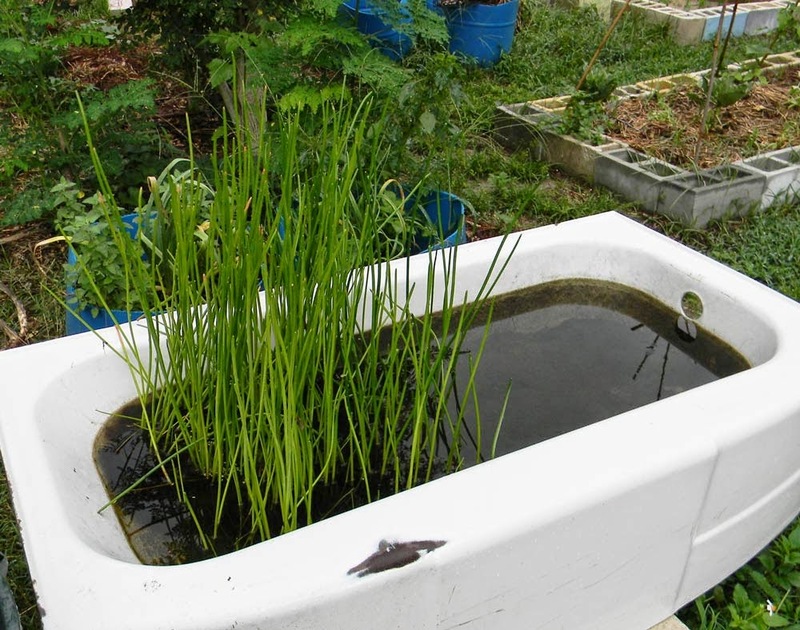 Do you have a pond? A swampy spot? A kiddie pool? Chinese water chestnuts are a delicious root crop that loves the heat and will produce abundantly. It's also perennial! I figured out how to package them up for sale (regular pots don't work) and I'll have some with me today - give 'em a try! Even if it wasn't delicious... I'd buy it. And I have. I've got three in the yard and I'm trying to figure out how I can cram in more. Visit the 326 Market in Ocala today and pick up a few plants. There's a lot going on in the nursery and I'm finding more rare edibles each week. MUSCADINE GRAPES: Sold out - more soon! Coming soon: herbs, moringa, hot peppers, katuk, edible-leaf hibiscus, Suriname spinach. How many goji berry plants do you have? Do you known exactly what they are? Are they a cultivar? You interested in coming up to Gainesville in August to talk about permaculture? You say you added "mosquito fish" to the water chestnut tub... is this the critter? I have about a dozen goji berries. Not sure of the cultivar, though the original stock came from plants already thriving and fruiting heavily in N/C Florida. And yes - I'd love to come up. Quick - someone tell me what this plant is!